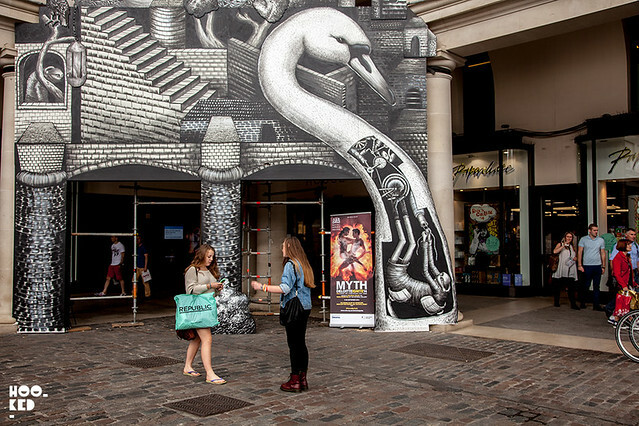 Hookedblog headed into to Covent Garden over the weekend to visit the latest body of work from UK artist Phlegm. 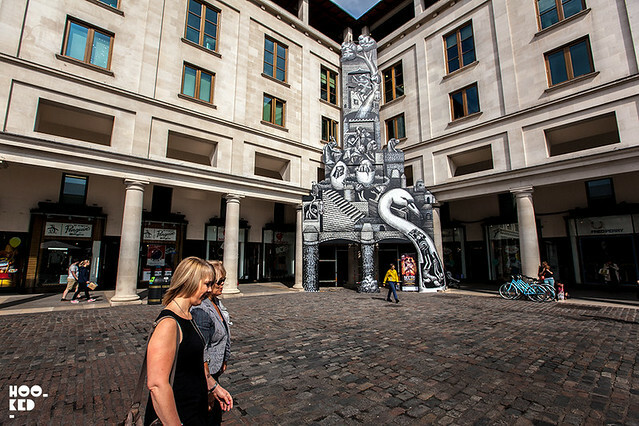 Dodging the tourists and the fashion pack who appeared to have decdescended on the area for London Fashion Week, we made our way over to the Royal Opera House with whom Phlegm has collaborated with. 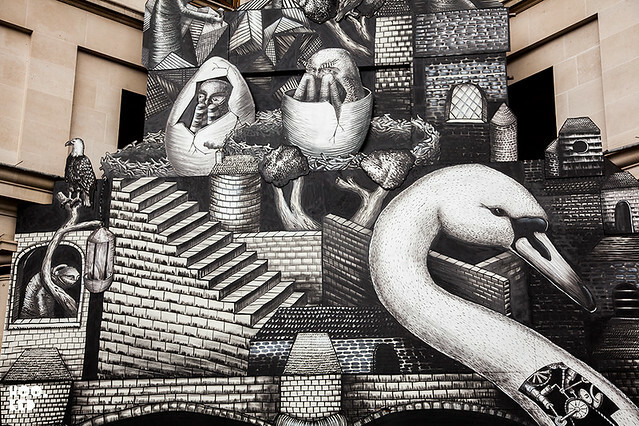 As part of the the Festival of Myth curated by Minna Moore Ede of the National Gallery and the Royal Ballet, Phlegm has created a new series of work based on a blend of his own mythology and that of Prometheus and Leda and the Swan. The piazza entrance to the the Royal Opera House was transformed with a huge wooden sculpture built onto three wooden tiers with various cut out sections giving the structure some added depth. This effect combined with Phlegm’s signature characters gives the work a magical feel, almost like a page from a giant pop-up book. Unfortunately the city council were not willing to allow the work to stay up longer and it is due to be removed at some point this week. 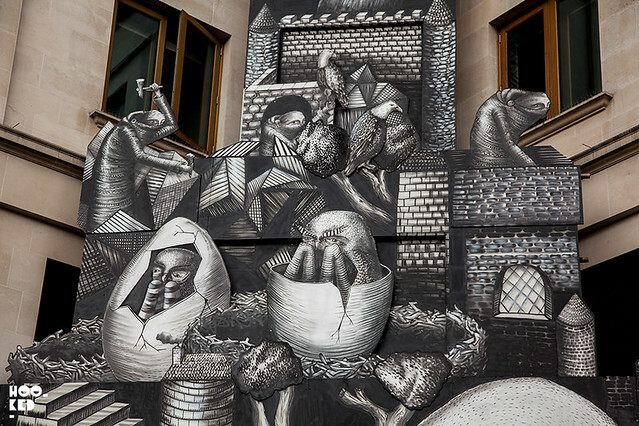 If you missed the outdoor work be sure to stop into the Royal Opera House as Phlegm has also produced a beautiful collection of nine copper plate prints which are displayed inside the main entrance of the building. The prints were all based on his preparatory sketch work for the sculptural work. 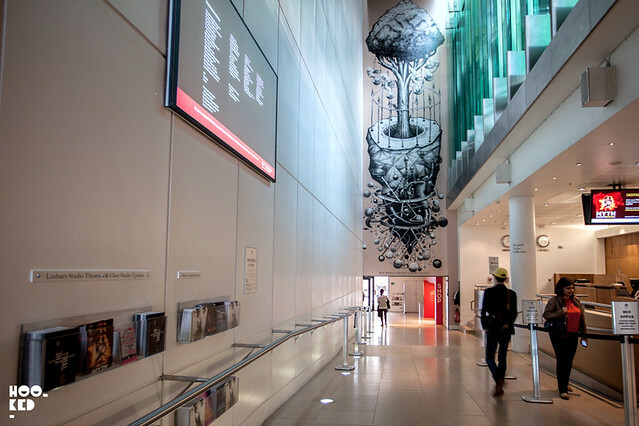 A large scale mural has also been painted by the artist in the main reception area and both the prints and mural are set to run at the space for a number of months. 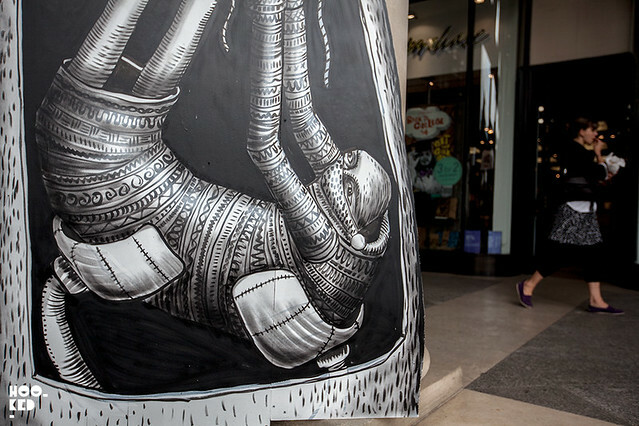 We've been pinning some of our favourite Phlegm pieces both outdoor and indoor work onto our dedicated Phlegm Pinterest Board so go have a look at some of the artists other work. Yes we agree, considering the volume of work that went into making the piece.